Just too pretty to cut! 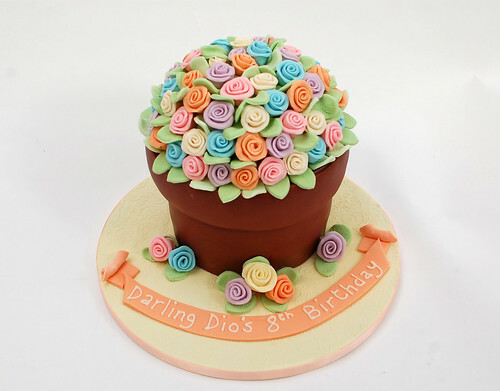 The Pretty Pastel Flower Pot Cake – from £80. Absolutely beautiful cake, delicious too! Couldn’t be more pleased with the friendly service. We will be back again.